In Kailua-Kona, at the end of the day it is a favorite pastime for tourists and locals alike to gather on the sandy shoreline behind the old stone church or line the walk in front of Coconut Grove to watch the sun as it settles into the Pacific. A kind of spiritual vibe permeates everything during this golden hour. People sit quietly, holding hands, gazing out to where the sky meets the sea. A time for reflection, of hope. The Eye of Horus sees this. 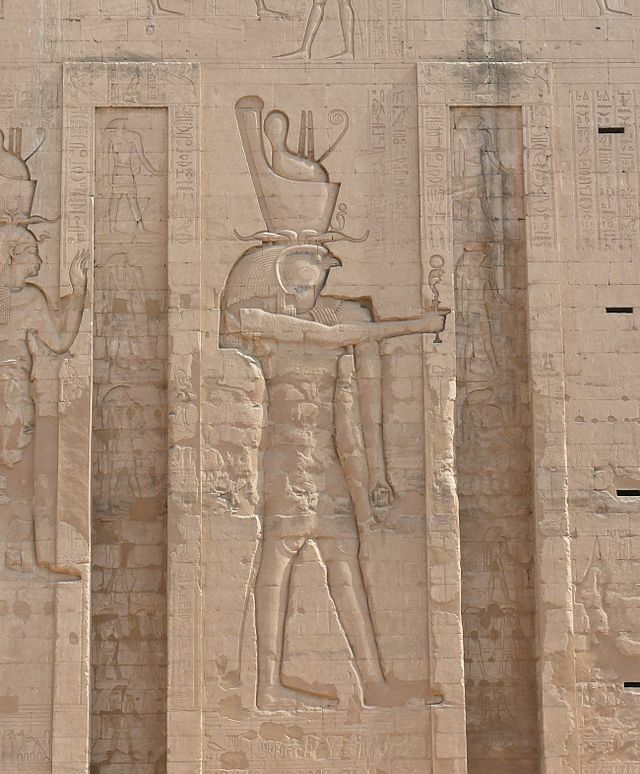 The wedjat is a symbol belonging to the Egyptian god Horus. 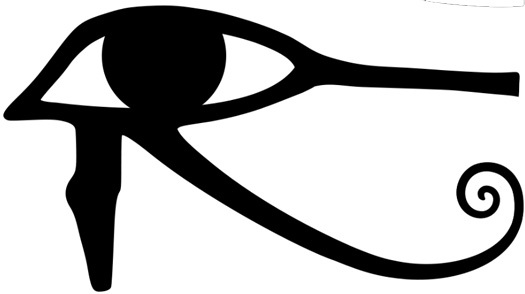 The Eye of Horus is often used to symbolize healing, restoration, and protection . The sun and the eye are synonymous, and as his symbol, so too is Horus the all seeing one. Horus, a sun god was worshiped from the Egyptian Predynastic period to Greco-Roman times, one of the oldest deities of ancient Egyptian religion. He was seen as a great falcon with outstretched wings whose right eye was the sun and the left one was the moon. The sun is thought of as an “all seeing eye” – it is the opening through which light emits – allowing all things to be illuminated, and hence made clear to the sun god Horus the falcon when he flies overhead. 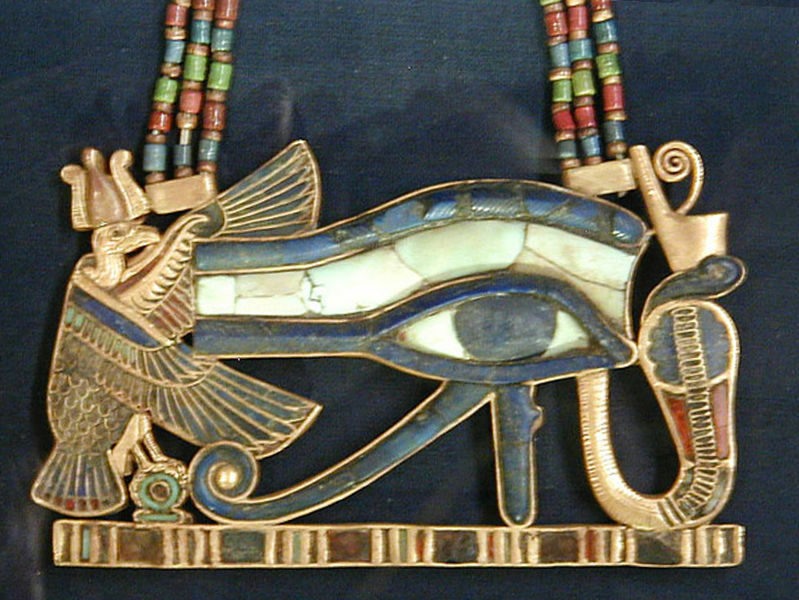 The eye of Horus is frequently seen in funerary objects. The following picture depicts a gold and glass pectoral amulet that was discovered in the tomb of Tutankamen. The wedjat opens and shines a ray of light upon the path, essentially leading a soul upon its journey by the all-seeing, ever-shining eye of the sun. Enjoy a Sunset for me. For your healing, restoration, and may Horus protect you. 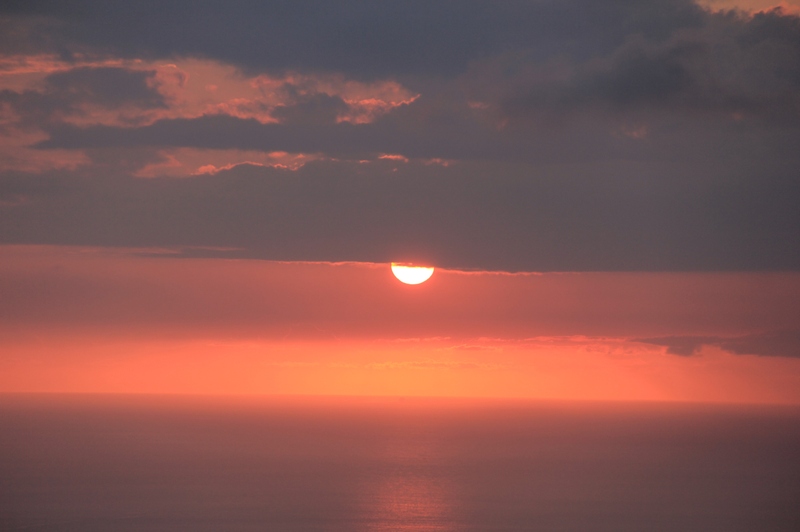 This entry was posted in Air, earth, Fire, the hungry brain, water and tagged air, Hawaii, history, nature, photography. Bookmark the permalink. Igualmente. I’ll take those lovely healing thoughts. Hope Horus is protecting you too Dohn.